Outlook on desktop was starting to look outdated, but the colossus of email clients has found new life on mobile and web—and there’s more to the software than you might think. Whether you use the desktop client every day or have been dabbling in the new apps for iOS and Android, here are our favourite tricks for getting more from Outlook. One of the ways you can use Outlook’s categories feature is to create a distinction between work and personal email (choose Categorize then All Categories from the Home tab of the ribbon menu to tweak these labels). Use the Filter Email option to quickly show a specific category on screen. If you just want to highlight certain emails in your inbox, go to View on the ribbon menu and choose View Settings then Conditional Formatting. Set up a new rule to match a particular category, and you can give work or personal messages a different appearance in the main inbox view. 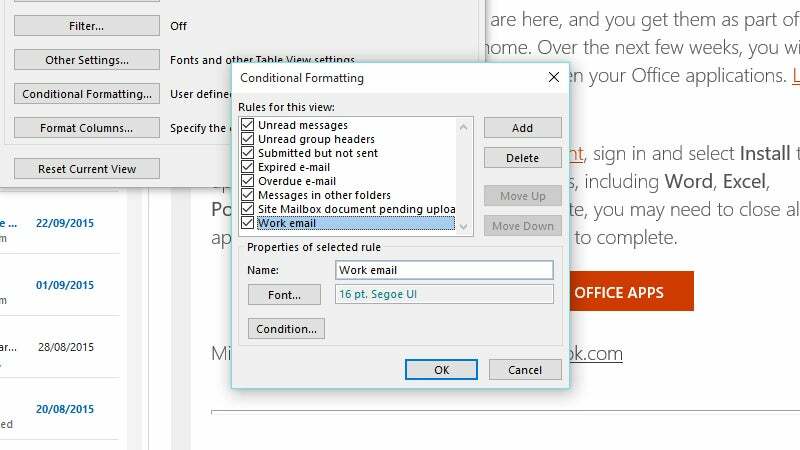 If you want to send an email but you’re going to out of the country (for example) when it gets delivered, Outlook lets you do this. From the new email window, choose Options from the ribbon menu and Delay Delivery. The subsequent dialog box lets you set a specific date and time for delivery. The usual importance and sensitivity options are available, too, and you can specify an alternative email address for replies if you really are making a run for it. The only caveat (unless you’re using an Exchange server) is that Outlook has to be running for the message to be sent at the specified time. 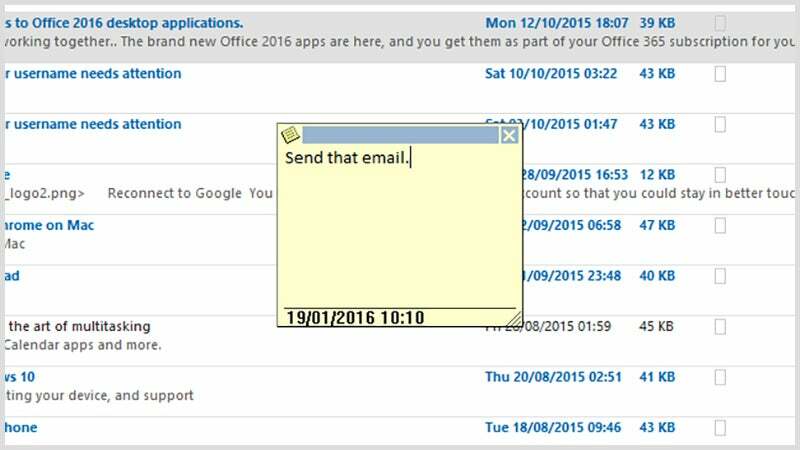 One of the features in the Outlook desktop client you might not have come across are the virtual Post-it notes—they can be used for reminders, quick notes, temporary bits of text or anything else. The easiest way to create a new note is via the Ctrl+Shift+N keyboard shortcut. You can position notes anywhere you like on screen but if you need to find them again click on the More... button at the foot of the navigation pane (three horizontal dots) and pick Notes. These handy portable Post-its can be assigned to categories too, which changes their colour on screen. You no doubt find yourself writing out similar phrases repeatedly (“the kitchen coffee is not for sharing”) and Outlook’s Quick Parts feature can help here. From an email compose window, highlight the text to save, then choose Insert, Quick Parts and then Save Selection to Quick Part Gallery. The phrase will then appear as a suggestion whenever you start typing it out again, but should you need to call it up on demand, you can go back to the same Quick Parts drop-down menu. It’s also useful for telephone numbers, URLs, and postal addresses that you want to make sure are always accurate. 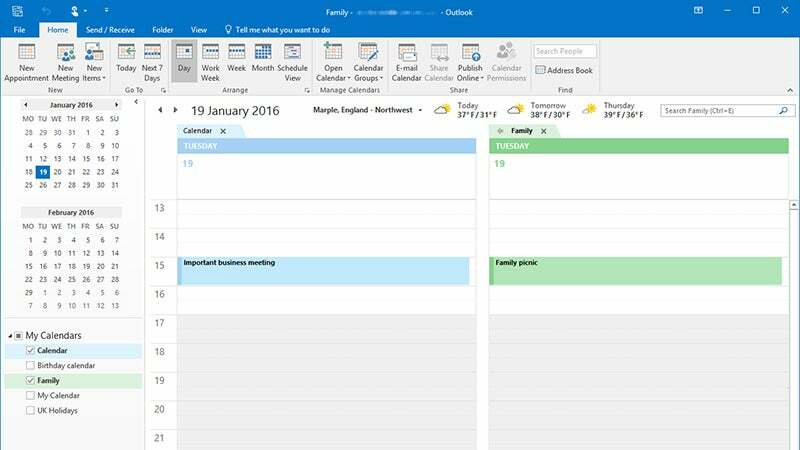 Trying to find a free slot in your day isn’t easy but Outlook can help by showing calendars alongside each other: place a tick next to all the calendars you want to see in the Calendar view, then choose a layout format from the ribbon menu at the top to change the view of all your displayed calendars. You can scroll through the times and dates across all of your calendars as normal, and drag copies of appointments between them (if you have the right permissions). Click the arrows at the top of additional calendars to temporarily merge them with the main one, simplifying the view. Outlook’s search capabilities are slowly catching up to Gmail’s, but it does have one feature that Google’s web-based email client doesn’t: search folders. All of the messages matching a certain criteria (emails from your boss for example) can be kept in a virtual folder that’s easy to access. In the desktop version of Outlook, open the Folder tab on the ribbon menu, click New Search Folder and choose your criteria from the list on screen. If more information is needed, use the Choose button to tweak the parameters of the folder. Click OK, and your search folder appears in the navigation pane. When you’re using Outlook on a smartphone, you’re far more likely to have your files stored somewhere in the cloud than actually on your device, and the mobile apps have you covered in this respect — they let you attach files stored in Box, Dropbox, and Google Drive accounts as well as OneDrive, of course. On iOS, you can add new accounts from the Files icon at the bottom; on Android, you need to delve into the Settings page, then tap Accounts and Files (Google Drive isn’t included here for some reason). The chosen services are then available whenever you’re attaching a file to an email. Every mobile email client worth anything has quick swipe actions now, and Outlook is no different. By default, the two actions are swipe to the right to schedule (snooze) an email or swipe it to the left to archive it, but you can change these settings around if you think you’d prefer something different. 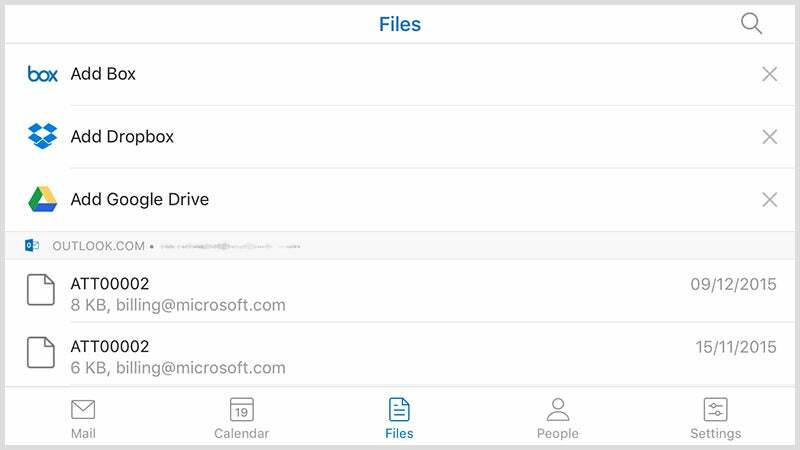 Head to the Settings page for the Outlook mobile app, then tap Swipe Options from the list — the available choices are archive, delete, schedule, mark read, mark flagged, move, and finally mark read and archive. You can also set the same action for swipes in either direction if you want. Outlook’s recently revamped mobile apps offer a ‘Focused’ inbox where only the most important messages reside, according to Microsoft’s email algorithms — if you’ve used Gmail’s Priority Inbox feature then it’s essentially the same thing for your Outlook account on your various mobile devices. 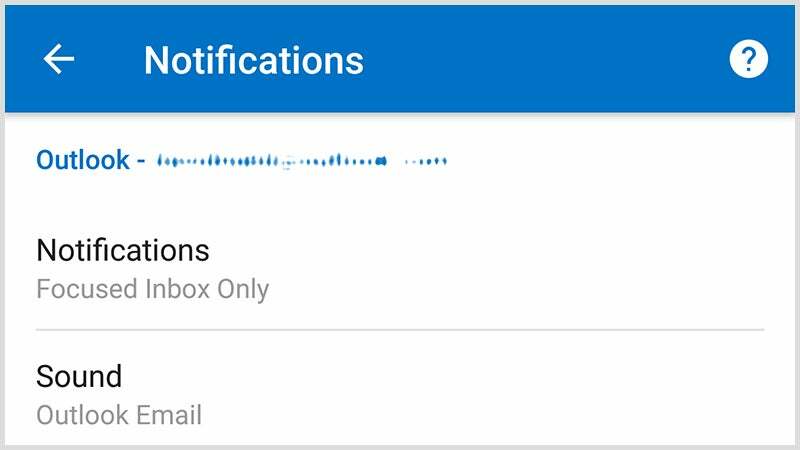 Not only is this a handy view to have inside the Outlook app, you can use it to set notifications too: from the app Settings screen on Android or iOS, choose Notifications then Notifications again. Keep this option as Focused Inbox Only to keep from being alerted about less important incoming emails. Outlook’s alias feature lets you set up multiple @outlook.com that can all be accessed from the same inbox. That means your alternative addresses can be used to compose new messages or reply to incoming ones, and anything sent to these aliases appears alongside emails sent to your regular account. Why is this useful? You can create dedicated addresses for newsletter sign-ups or social media alerts, then create customised filters to keep these kinds of messages away from your main inbox — there are lots of ways to use the feature. Go to the Options page for Outlook on the web to set it up.